Made of a polyester and silk/chiffon blend, this dress gives you that wonderfully fluttery feeling that you want in spring, while still providing the ease of wash-and-go polyester. So what are some ways you can incorporate this lovely dress into your life? Office wear doesn't have to be boring! 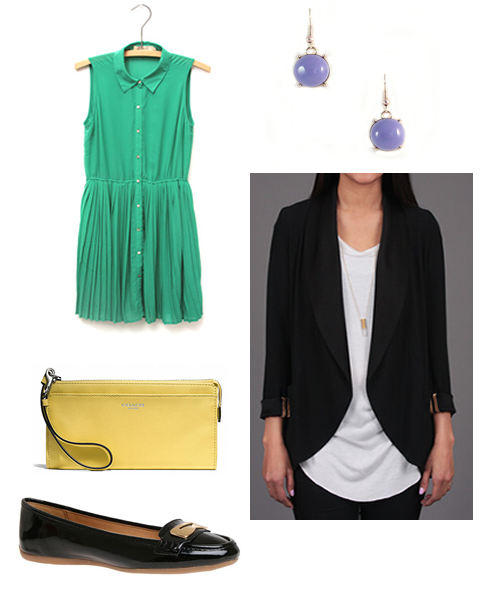 Bring a little color into work with this fresh combo of green, cornflower yellow and lilac. Ground these springy colors with a basic black blazer and chic, but conservative flats. 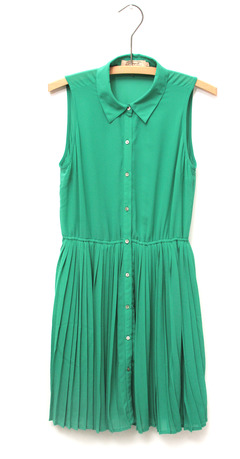 This dress also works seamlessly for the classroom too! Layering things over the top or bottom of a dress instantly doubles its versatility. Cropped sweaters make for perfect layering pieces over dresses and this comfy Monk & Lou sweater is a prime example. 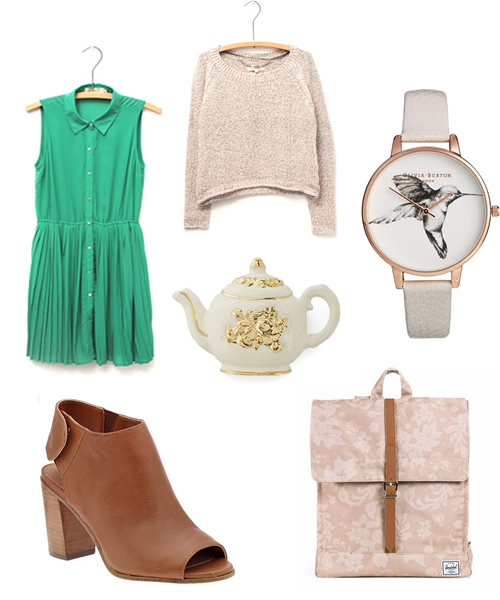 Pair with equally whimsical and earthy touches to create a sweet, brainy-girl-got-style look. What do you think of these 3 looks?